The coveted email list, that perfect tool for building audience growth and traffic–it has the highest conversion rate in the industry (more than social media, even), but how in the heck do you get lots of email addresses in it? You can beg and plead for people to sign up for you list. You can offer people a free ebook…but they’ll have to give you their email list to get it even if they don’t want to be on your email list. Or, you could create an email autoresponder course that people gladly give you an email for, and eagerly await the arrival of your emails. Yep. An email autoresponder course can do that. It makes sense for both you and your reader. It actually works. An email autoresponder course is a true workhorse for your blog. It helps establish your expertise, it creates trust, and frankly, it’s a fantastic exchange between you and your readers. Both of you get what you want. 1. You’ve already created the content. The apprehension for most bloggers, when it comes to finding something to trade for an email address, is that they don’t have the time or know-how to create a comprehensive ebook or report. They feel like they have to create some brand-new, never-before-seen content. An email autoresponder easily makes use of the blog content you’ve already created. Most readers haven’t read everything you’ve written, nor have they read it in sequential order. Your email autoresponder groups related topics together and packages it neatly for the convenience of your readers, delivering it right to them. You don’t have to create new content in order to make this happen. You can use what you’ve already written for your blog. People don’t always like giving an email address for things that shouldn’t require them. 2. You’re trading an email for an email. When you ask readers for their email in order to sign up for an autoresponder, it makes sense. You need their email in order to deliver the information, and it’s a transaction that doesn’t have a hint of hucksterism. Downloading an ebook or a report doesn’t require an email, but that’s the trade they have to make in order to get it. Readers aren’t dumb. They know they could get an ebook if you provided a direct link to it. They know you’re after their email. Their email address is your prize. Signing up for an email autoresponder course doesn’t seem like they have to trade anything at all. It’s an email course. The only way they can get it delivered to them is to give you an email address. For readers, it feels like you’re being pretty generous and giving them some great free stuff without asking for anything in return. Your email course is their prize. Email courses are a fair trade for readers. You need their address to deliver the content. 3. Readers sign up understanding that they will be receiving your email. Some readers give you their email to get that report or ebook or infographic and don’t understand that they’ll be added to your regular email list. Perhaps you didn’t make it clear or they are new to how these things work. After all, they just wanted an ebook, not to be added to an email list. Those readers unsubscribe. Sometimes they love to tell you why they unsubscribed in no uncertain terms. Sometimes they report you as spam. This reaction is rare with an email autoresponder course. Even though they’ll be added to your general email list, they still expect to get emails from you and are more receptive to all of the email you send. They get used to seeing your emails come in through your email autoresponder course; your other emails arriving to their inbox are no big deal. Readers who signed up for an email course understand; they asked you to email your content to them, and they don’t mind when you do. 4. Readers get to know you gradually, and you aren’t forgotten. An email autoresponder keeps you on your reader’s mind. An ebook is downloaded once, and is a one-time connection. An email autoresponder is repetitive, and your content can become a habit. Your emails constantly remind your readers that you still exist, and they grow comfortable hearing your “voice” in your emails. 5. Email is good place to mention your latest projects. Maybe you finally have something to promote. An online learning course, or a webinar. When it comes to selling or promotion, single solitary landing pages are powerful, particularly if you understand the art of creating copy and graphics that get readers to do what you want them to do on your landing pages. But maybe you’re not up to landing pages just yet, though you still have something to promote. Where do you do the promotion at? Start with the email autoresponder course. Get some motion going with that first; you’ll eventually get to the landing page. Don’t be shy or feel like your email autoresponder ought to stay purely instructional. You have given your readers great content, and you earned their attention. They don’t mind if you mention something you think they would be interested in. They don’t mind if you mention that webinar or other product in your email to them. Here you are, convinced that you ought to have an email autoresponder course. What should it be about? As usual, I’m going to tell you to “know your audience” and you’re going to sigh in frustration. Before you walk away in exasperation, though, read on. You can find out who your target audience is. You can find out what your readers want you to tell them more about. Search terms: You can find out the specific terms people are using to find your site, which will help you decide what the most popular topics for your readers are. However, Google searches are increasingly not providing the specific search terms that they used to, going with “not provided” instead, so this ability may decrease in the future (at least with the Google search engine). You can subsidize this lack of information from Google Analytics a little bit with your Google Webmaster Tools dashboard. Simply go to Search Traffic > Search Queries and get a list of the terms people are using to find your site. Google Webmaster Tools can tell you what search terms bring people to your site. High-traffic posts: High-traffic posts are the posts that people are reading, and indicate a topic they are interested in. You could create an email autoresponder out of these specific posts, or use them as a guide on what people want to read about. An added bonus, once you know which posts get the traffic, is that you can promote your email autoresponder in those actual blog posts and target a specific audience. 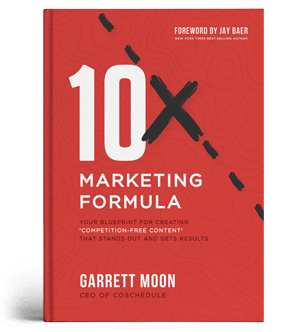 For example, we found a few obscenely high-traffic posts on the Todaymade blog, and created a pop-up that encouraged people to sign up for an ebook that was related to the topic of the post. These were posts that had high bounce rates, meaning people came in, read what they wanted, and left. We figured we might as well offer them related content, since they were going to leave anyway. (Click here to see what I mean.) Imagine if you did that for your email autoresponder course? If you know people are going to those posts, why not offer them useful related content? They’re already primed for the topic. Nuthin’ to lose. Choose a topic for your email autoresponder that your readers already like, not one you like. Topical trends: See if there is a trend across these posts that make for a singular topic. Unrelated blog posts might still have a connection. For example, on my personal blog, two high-traffic posts have to deal with customer service issues with Dell and Verizon. They are unrelated except that they indicate people are looking for help in dealing with large corporations when they are frustrated. That trend could be a topic. What topics are people reading that are related on your blog? 2. Look at your social media. Your social media isn’t just for sharing and conversation. It’s also a not-so-sneaky way to learn about what your readers are doing with your content. It is a kind of “unofficial” source of analytics, if you pay attention. Shares. Which of your blog posts get shared the most on social media? This is a good indicator of not only what your followers are interested in, but what they are willing to share with their own followers. Even basic stats are useful, such as what bit.ly provides. Bit.ly, Buffer, and other apps that you use with your social media give you some nice stats that show you which of your posts get the clicks and shares. Those posts have topics and headlines people liked. Hashtags. Pay attention to the popular hashtags you’re seeing used by your social media followers. They are telling you what topics are the most important to your readers. Plus, you can capitalize on these hashtags when it comes time to tell the world about your email autoresponder. Conversations. You’ve had conversations with people on social media. What are they talking about? What are they repeatedly asking you about? Wouldn’t you love to have an email autoresponder handy so the next time you’re asked, you can mention that it is available? Places like Inbound or Quora are a great place to find out what people want to know about. Just read the conversations they have with each other. Answer their questions, and tell them about your email autoresponder. Social media isn’t as mathematical as pure analytics, but it is a good measurement of what people say they are interested in. 3. Look at your blog comments. Which posts raised the most discussion and passion? What questions were asked? An active comments section is a great way to find out which blog post topic piqued your reader’s interest. If you’re lucky, readers may even be so kind as to ask you questions in their comment that you can answer as part of your email autoresponder course, or that you can use as an opportunity later to refer them to your email autoresponder course. I’ve had blog readers email me directly and ask if I could write specific posts to answer specific questions they had. As you can imagine, I’m more than happy to do so. Consider asking your readers directly if there is a topic they’d like to know more about. Use a survey, or write a blog post. Bloggers spend a lot of time water witching for post topics and forget that they can just come right out and ask what readers want to read. Don’t be afraid to ask your audience specifically what they want to know, and how they want you to cover it. Wonder what your blog readers want? Why not just ask them directly? Your email autoresponder can be made up of content you’ve already published on your blog, or new content that you write specifically for the course (or, a mix of both). 1. Use currently published blog posts. Using blog posts that are currently on your blog is quite common, and it is a good way to get started and build your first email autoresponder course. The barrier to entry is easy, because you already have done most of the work. Evergreen posts. Select blog posts that are “evergreen”–that is, their content will age well. Blog posts with detailed “how-to” instructions on using social networks are notorious for aging poorly. Just ask me about the very long and detailed series I wrote on the “new” Facebook Timeline. I think it was outdated in two weeks. If you’re going to use posts already published, try to find ones that will remain viable over a long period of time. It’s easy to forget what’s in your email course if you fall into the set-it-and-forget-it mode. Make sure your email autoresponder uses content that is relevant over a long-term. Popular posts. We’ve mentioned using analytics, social shares, and comment activity on popular posts to determine what your overall topic should be. Go ahead and use these same popular posts for your actual email autoresponder content…but with one extra consideration: don’t forget your archives. You likely have some great posts that used to hit the top ten that maybe don’t anymore because they are a few months or more old. Do they still contain good content? You bet they do. Include them. You be the judge. You know which posts you are proud to have written (and those which inspire hidden, dark shame). Select those posts that have excellent content that your readers might not have found yet. One nice thing about using content that already exists out on the wilds of your blog is that you have the option to either include the full blog post in the body of your email, or give readers a snippet and a link back to the original post. Snippets and a link drive traffic, to be sure. 2. Creating brand new content. Sometimes you might want to create brand new content for your email autoresponder. There are several reasons this is a good idea. Rework old copy and make it new. You may have a great post that you wish you could use, but the content is outdated and in much need of repair. There are several blog posts I’ve written that I’ve reworked and slapped a new headline on. The foundation and frame was good; they just needed a bit of remodeling. It is not unusual for us to use a looming new email autoresponder course as the impetus to get us to write several new blog posts for our blog. The topic or idea might be relevant, but the available blog posts at our disposal need rework. Rework an old blog post, publish it fresh on your blog for readers, and set it up for your email autoresponder course recipients. Introductions and prefaces. Creating new copy to put each blog post into context helps make individual posts seem to be part of a cohesive whole. The new copy helps frame the blog post so that it fits with the rest. For some of our email courses, we’ve written a preface, a summation of the previous lesson, and even a bit of a teaser that hints at what the next lesson will bring. That little bit of extra fresh and new copy helps your email autoresponder course feel less like you’re just spitting out old blog posts. Create entirely new content. Perhaps you’re using published blog posts, but your email autoresponder is missing a crucial lesson and you need to write brand new content so that the course achieves its goal. Maybe you’ve not even begun your blog yet, and are building your autoresponder first. Or, you just want to write the course from scratch from the ground up. Some bloggers don’t like creating entirely new content. For one thing, it’s a lot of work. But mainly, you miss out on the SEO benefit because that content is not on your site. These things are all true, but do consider this: exclusivity. When you create new content that isn’t available anywhere else, you can “sell” your email autoresponder course on the promise that there is exclusive new content not available anywhere else. Readers need to sign up if they want it. So, whether or not you’ll publish all newly created content on your blog depends on if you are using exclusivity as part of the enticement. Exclusive content makes your email autoresponder look attractive to readers who want something new. Building an email autoresponder is all about considering the nuts and bolts of the course. These are the decisions you’ll want to make before you get going on it. You want to build something that people are going to open and read. 1. Determine the length of the email autoresponder course. How long will your email autoresponder keep sending emails? Weeks? Months? The number of emails that you send out for your autoresponder will depend upon the content you are using, and what you hope to achieve. Never-ending. Some bloggers have a never-ending email autoresponder, always adding (and sometimes removing) blog posts from the queue based on what they’ve written lately. They build and prune their autoresponder “live”, while it is going out to readers. A never-ending autoresponder is a good place to feature your “greatest hits” and best blog posts on the broad topic of your niche blog. It is a recirculation tool, making sure your older, archived posts always get traffic. Shorter email course. We have several short email autoresponders, and we use their brevity as part of the selling point. A short email course is the perfect answer to a reader who doesn’t want to be bothered too much, and who doesn’t want to commit to a long session of emails. A short email course works great for a tightly planned topic with a logical course outline, and a distinct beginning and end. With a shorter email course, people are more readily aware of previous content, and continuity and structure are important. 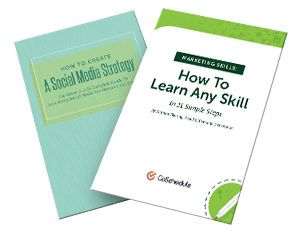 A shorter course is also easier for a new blogger to get started with. Longer email course. We have noticed in our own email autoresponder courses that people do unsubscribe more as the course continues, but that does not mean you should not have an autoresponder that runs a longer time. It will take some readers longer to commit to you, your content, and ultimately, anything you are selling. A longer email autoresponder fits their needs perfectly. A longer email course is a good place to feature a set number of blog posts on a topic that you have written many blog posts on. How many emails will you send? There is room for nearly all course durations. Some readers will unsubscribe from your email autoresponder, whether it is short or long in duration. It is inevitable. Watch for trends that might indicate a necessary change (e.g. high unsubscribes after a particular lesson), but understand that unsubscribes are a natural part of your list’s equilibrium. Even if people unsubscribe, they were exposed to your content before they did so. Load the beginning of the course with excellence and go from there. 2. Determine the length of individual emails. How long will the actual email be? What will be the word count? Long-form content for blog posts are all the buzz right now. Google search rewards blog posts that are longer. Yet there is still the issue that people might not read longer content, even if Google leads them to it. Readers want excellent content, they want to learn something, they want you to help them, but they don’t always have a lot of time. Shorter copy is powerful. 200-300 words or less is a good rule of thumb if you aren’t using a full blog post, especially if you are sending more than one email a week. We have used this idea of using only part of a blog post in our own emails, making sure that the introductory copy was sufficient to let the reader know exactly what the post was about. Entice without tricking, in other words. Longer copy is acceptable. Including the full blog post text means a longer email, but there is a benefit to including the full blog text for your reader. You are offering them convenience by not making them click through to your site to read everything. You hold nothing back and give them everything for free, not even requiring a visit to your site. That can be seen as a form of goodwill, and readers often prefer the convenience of being able to read everything in their email client on their mobile device without having to open up a browser. Break up the copy. Use white space with enthusiasm, especially if you are sending your reader a full blog post. Use headers, bullet-point lists, and short paragraphs with plenty of double-space between them. This makes it easy to read, period. They might be reading it on a huge monitor or a tiny iPhone. 3. Determine the frequency of emails. How soon will your emails follow each other? What days will they arrive? When sending your email autoresponder, if possible, try to avoid days when you are sending out your regular blog email. You don’t want to overload your reader’s inbox and annoy them into unsubscribing. Start with a welcome email while the sign-up is still fresh and they are looking for you to pop into their inbox and perhaps make sure you don’t go to spam. Thank them for signing up, and tell them what they can expect. Keep it short, simple, and text-based. Nothing flashy. From there, the beginning emails should arrive closer together. You might send an email out every two days for the first two, then once a week for the next three, and then once every 10 days after that. You are still connecting with your readers, but without being like a buzzing gnat that won’t go away. Properly spaced out, it is a pleasant surprise to get an email every 10 days. Confession: I tend to unsubscribe from emails that come every day. But that’s just me. Carefully consider how often your emails will arrive in your recipient’s inbox. Don’t overload, but don’t let them forget you. 4. Build your email with simplicity in mind. How does your email look? The body of your email should have easy-to-read copy. This means a font that is easy to read and graphics that don’t get in the way. Your goal is to get your content read, and not use the reader’s inbox as a flashing billboard. Plain text. Don’t discount the power of a simple plain-text email that has no graphics or formatting. Oddly, many readers actually prefer plain text emails to flashy HTML emails with graphics. They are easier to read on their mobile devices and they feel more personal and less like marketing materials. If you are not confident that you can create an email autoresponder course with graphics that will look great in all email programs and mobile devices, go with plain text. Even better? Go with the look of simple text, but use basic HTML formatting so that the copy loses the harsh “plain text” look, but still lives without graphics. Body and images. People click on images. If you choose to have any graphics, they must have a link to something relevant, such as the blog post. Don’t ever waste the opportunity that images provide you. All images are clickable, all images link to something relevant. No exceptions. Avoid self-advertising. Be cautious about taking out ads on your own emails. In other words, avoid loading up your email with links or graphics that advertise your copywriting or design services. If you are going to include these things…do them in the footer. A useful footer. Below your main content is the footer of your email. It should contain a clear and simple way for your reader to unsubscribe, as required by the CAN-SPAM Act. Mention why they are getting the email (they signed up), and how to contact you. Email apps often take care of this for you, but just be sure it is included. The footer area is where you could do “self-advertising” if you wanted to. Keep it simple, if you choose to do it, preferably just one or two “ads” or links. 5. Pay attention to your email delivery. How do you package and deliver each email? It is easy to get distracted by the content of email autoresponder course and forget about the email itself, but the basic components of the email play a role in whether or not readers will open your email. Headline-quality subject lines. The same rules that apply to creating great headlines apply to your email subject line. It has the burden of getting your reader to decide to open the email and not delete it. Ask readers a question directly, hint that you have a solution to a problem, or suggest there is something they don’t know and ought to. MailChimp offers a free tool that lets you test your subject lines out against all of the data they’ve collected on emails that get great open rates. Words to avoid in the subject. Avoid using words in your subject line that can trigger spam filters, such as “free”, “satisfaction” or “open.” While you likely wouldn’t use such sales-oriented words for your email autoresponder course on purpose, it is wise to be aware of words that might send your email into spam. Length of the subject. The subject line of your email should not exceed 50 characters. You want to avoid having your carefully crafted subject line get truncated in an inbox. Who it is from. Keep the “from” line in your email the same throughout the course. You are building trust, so it is important that the sender of the email remain the same Plus, if readers have whitelisted your email address, or directed your email into their primary Gmail tab, changing the address could hurt you. Choosing a person instead of an app or a blog name is best if you can; it is easy to ignore email from an entity and less so from a “real” person. You might not have that coaching session to sell yet, or that online webinar or book that you plan to promote someday, but that should not stop you from creating an email autoresponder course. In fact, not having all of that stuff done makes your email course even more important. Build your email list first, so you have people you can sell to someday. Your email course is how you go about building your email list, one agreeable reader at a time.